Head to the Cat’s Cradle in Carrboro this Friday and Saturday for “Be Loud 14,” a two-day musical extravaganza to benefit kids with cancer. The show begins on Friday at 8:00, with performances by the Pressure Boys (reuniting for only the second time in 20 years), the Connells, and the Dexter Romweber Duo. It continues on Saturday afternoon with a festival in the parking lot, featuring music, poetry, and food trucks – and concludes with another concert on Saturday night at 9:00, with A Number of Things and Let’s Active along with a repeat performance by the Pressure Boys. It’s all to benefit the Be Loud! Sophie Foundation. Founded by Niklaus Steiner (director of UNC’s Center for Global Initiatives) in honor of his late daughter Sophie, the foundation exists to help teens and young adults with cancer “pursue their own interests whatever they are” – to live normal lives, even while undergoing treatments. 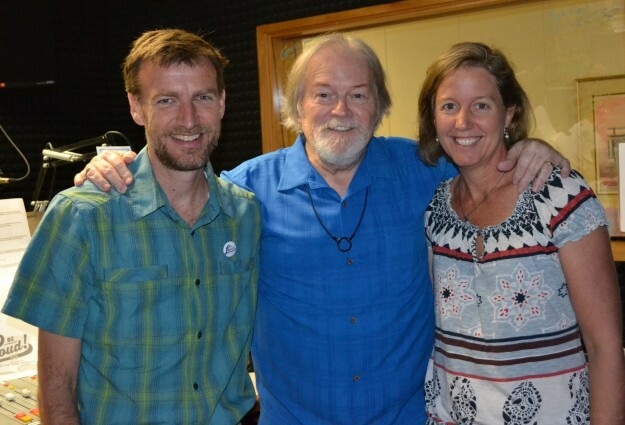 Niklaus Steiner and Pressure Boys drummer Rob Ladd joined WCHL’s Aaron Keck on the air Thursday afternoon. Tickets to “Be Loud 14” are $40 for the full weekend – or you can buy passes for each individual show as well, for $10-$25. For tickets, visit BeLoud14.com or CatsCradle.com – and visit BeLoudSophie.org for more information about the Be Loud! Sophie Foundation.